General Lee — 1969 Dodge Charger R/T. 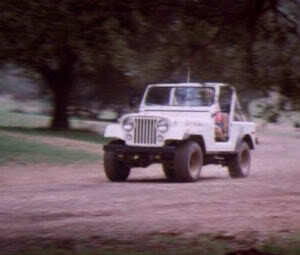 Daisy’s Jeep — 1980 CJ7. 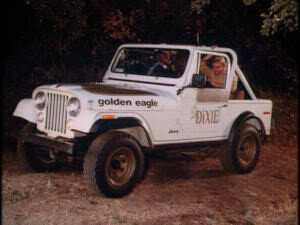 After Daisy’s RoadRunner was sent off a cliff by Bo and Luke in “The Runaway” Daisy received a bridesmaid gift from CJ Holmes of a beautiful new Jeep. 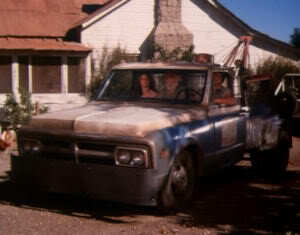 For a couple of episodes it was seen with the doors on and “Dixie” on the doors. 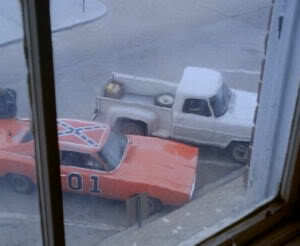 Eventually the doors would be taken off permanently and the “Dixie” name moved to the hood. 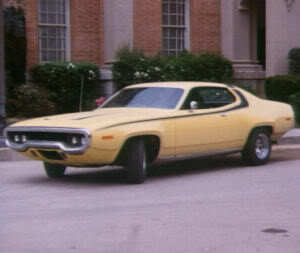 Daisy’s yellow car – In the GA episodes and the first few filmed in CA, Daisy’s yellow car is a 1974 Plymouth RoadRunner. 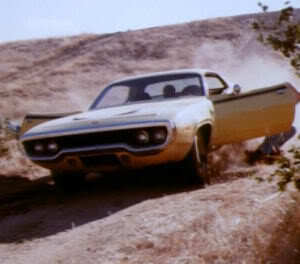 Eventually it was switched to a 1971 Roadrunner and would be the car that goes off the cliff in the second season episode “The Runaway” (yet mysteriously appear again in a couple more episodes following that one!) 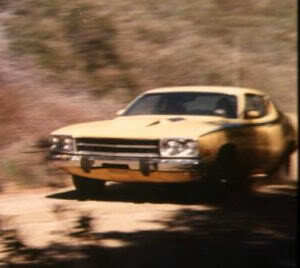 Some fans even go so far as to dispute whether the car was a RoadRunner, a GTX or a Satellite. 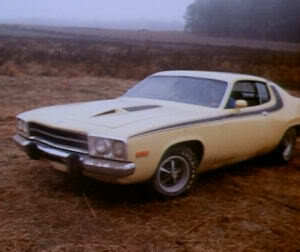 More often than not, GTX was a performance package option with RoadRunners and Satellites. 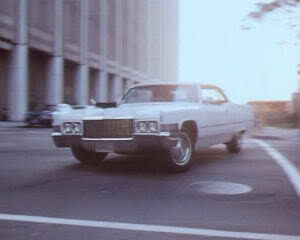 Boss’s Caddy – A 1970 Cadillac Deville convertible, Boss’s car is the only car besides General Lee to remain unchanged during all 7 seasons of the Dukes. 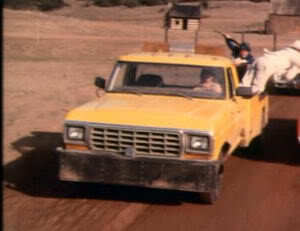 Jesse’s pick up – Jesse’s truck in the GA episodes is hardly seen let alone used in any driving scenes. Our best guess is it’s a 1970 F100 flare side. 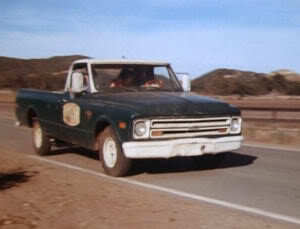 Once the show moved to California, Jesse’s truck became a 1975 Ford F100. 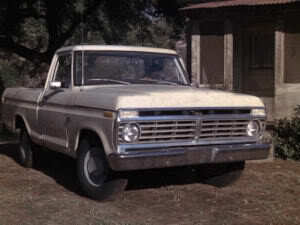 Occasional F150s were also used. Cooter’s tow truck — He had a ton of different models! 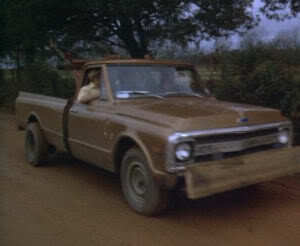 The brown pick up seen in the GA episodes and for a few done in CA, is a 1969 C-10 Chevy. 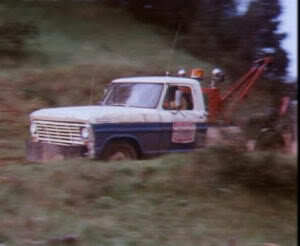 The first blue and white tow truck seen toward the end of the first season was a 1969 Ford F100. 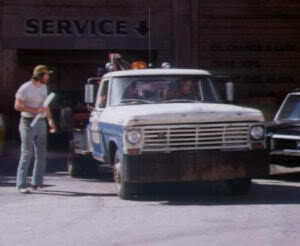 By the third season, Cooter would have yet another make and model tow truck, this time a yellow 1979 Ford F-350 Custom. 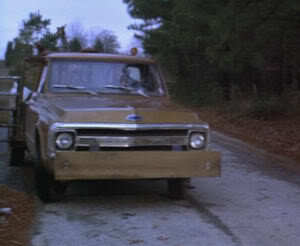 Eventually he would go back to the blue and white truck , only it’s a 1970 GMC 1500. 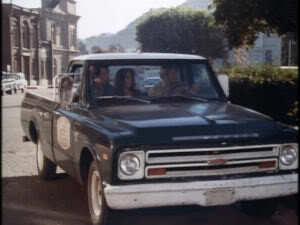 Cooter also had a green 1968 Chevy pickup that was seen in a few episodes. 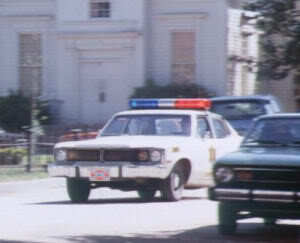 Rosco, Enos and Cletus’s patrol cars – The first couple of seasons of the Dukes featured a mix of makes and models of police cars, including a 1970 Dodge Polara, 1975 Dodge Monaco, 1974 Plymouth Satellite, 1974 AMC Matadors, 1977 Dodge Monacos and others. 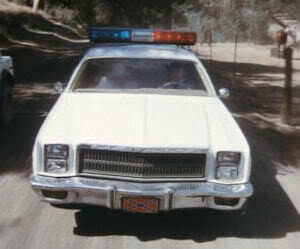 The cars that were used from the third season on were pretty much strictly 1977-1978 Plymouth Fury’s. 2. What does the “P” in Rosco P. Coltrane stand for? 3. What does “Pervis” stand for? 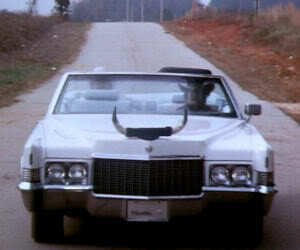 “Pervis” is a male name of French orgin, meaning “one who provides food.” This makes an alarming amount of sense when you consider all the times Rosco had to bring food for Boss Hogg. 4. What was Rosco’s dog’s name? What breed is it? Flash and she’s a Basset Hound. (The first few episodes with Flash refer to the dog as a male.) The first episode Flash appeared in was “Enos Strate to the Top” in the third season. 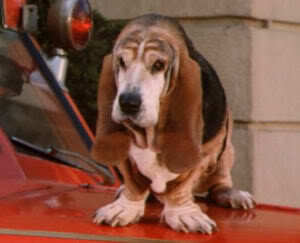 The idea to add a dog to the show reportedly belongs to James Best. 5. I’m a long lost relative of one of the stars of the show. Can you get in contact with them for me? Sorry, no we can’t. We’re just fans of the show who have dedicated time and effort to build a website in honor of a favorite tv program. 6. 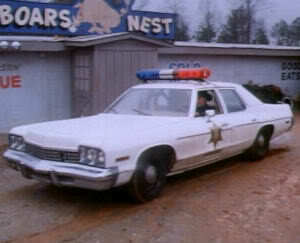 I’d like to get in touch with people who were part of the Dukes production crew, do you know where I can contact them? Sorry, no we don’t. Same as above, we’re just fans of the show. None of us are in any way officially tied in with the cast, Warner Brothers, CBS, Gy Waldron, the Estate of Paul Picard, Lou Step Productions, Waylon Jennings, RCA Victor, the Alabama State Militia or the Sons of Confederate Veterans. HazzardNet is an independent, fan-operated website. 7. I have some Dukes merchandise I’d like to sell. Can I do that on your site? If you have a Dukes of Hazzard item for sale on ebay, and you want to post a link to it in the Collectibles and Memorabilia section, that’s fine too. 8. I have some Dukes merchandise. Can you tell me what the value of it is? Our best advice is to browse ebay and see if there are collectibles for sale similar to your items. Value depends on how rare your item is, and the condition it’s in. The closer the item is to “new” condition, the better the value. Also, beware of knock-off merchandise on ebay that has been fan-created and is not a licensed product. If you are serious about Dukes of Hazzard collectibles and their value, try the Collectors Guide to TV Toys and Memorabilia: 1960S & 1970s. The book is out of print but copies are still available on Amazon. 9. Where can I order the Dukes of Hazzard on VHS or DVD? You can find all 7 seasons of the Dukes of Hazzard on DVD in our merchandise section, along with the two made for TV reunion movies, the big-screen 2005 movie, and the straight to DVD Dukes of Hazzard: The Beginning. Also check out “The Dukes” animated series, available by Warner Bros. DVD on demand. 10. 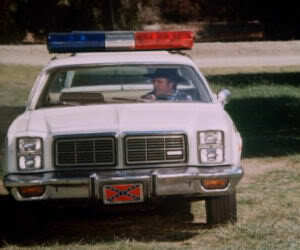 Where can I watch Dukes of Hazzard on the internet, for free? As of this writing, The Dukes of Hazzard is not on Hulu or any other free streaming content provider. You can browse YouTube to find select scenes and cast interviews. 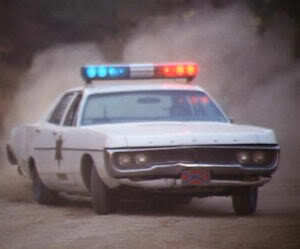 Amazon.com has “instant video” streaming of Dukes of Hazzard episodes, and you can also download an entire season. The episodes are $1.99 each and a complete season runs $14.49. Prices are subject to change. 11. 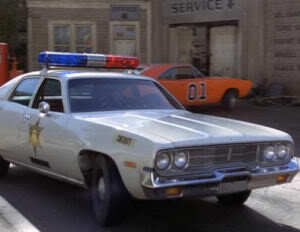 What channel is currently airing the Dukes of Hazzard? CMT is airing the Dukes of Hazzard on weeknights, usually Monday through Wednesday or Thursday. Airtimes vary widely and episodes are aired in random order. We periodically update our homepage with news regarding broadcast information. Also check your local cable listings. 12. Why did Bo and Luke temporarily leave the show? Contract dispute. The short version is that John and Tom felt they were being cheated out of royalties from the sale of merchandise. They also complained about the quality of the scripts. While the strike didn’t completely doom the show as some predicted it would, ratings declined. Still, the Dukes of Hazzard remained a top 20 show for the duration, progressing another two seasons after the return of Wopat and Schneider. 13. Why did Rosco temporarily leave the show? Contract dispute. 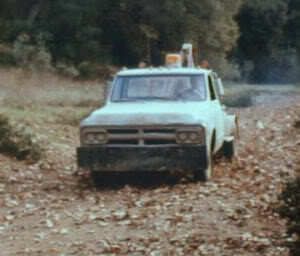 James Best wanted a better dressing trailer to go dry off in, after being thrown in muck piles in various episodes. WB scoffed, Jimmie walked. 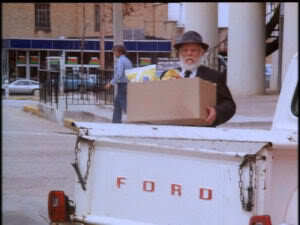 After a few episodes where Rosco’s absence was sorely felt, Jimmie got his trailer and Rosco returned. 14. Why did Cooter temporarily leave the show? Contract dispute. This one’s kinda ridiculous on the studio’s part. They wanted Cooter to be clean shaven. Ben Jones, who played Cooter, wanted to keep his beard. Who cares if Cooter’s got whiskers or not??? The studio won, and after a few episodes without him, “Crazy Cooter” returned to the show…clean shaven. 15. How many seasons were there of the Dukes of Hazzard? There were a total of seven seasons of the Dukes! One was a mid-season replacement (meaning it started in January and went until May). Seasons 2, 3, 4, 5, and 6 were full September – May seasons. Season 7 ran September until February. 16. When did Coy and Vance show up? 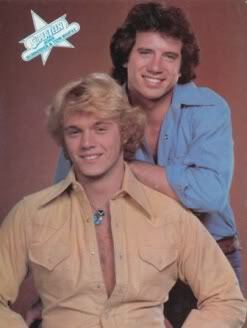 Season Five, which was during the strike by Tom Wopat and John Schneider. Byron Cherry and Christopher Mayer were immediately unpopular as substitutes. To their credit, they never had an opportunity to develop their characters – they were instructed to watch film of Wopat and Schneider and “act like them.” Coy and Vance were hollow clones of Bo and Luke, by design. 17. What about “The Dukes” animated series? “The Dukes” animated cartoon began broadcasting on Saturday mornings during the Wopat and Schneider strike. The cartoon scripts seemed more accommodating to Coy and Vance; the characters had more depth in the cartoon than they did in the regular show. Byron Cherry and Christopher Meyer put forth good vocal performances for the animated series and did their best to help it succeed. 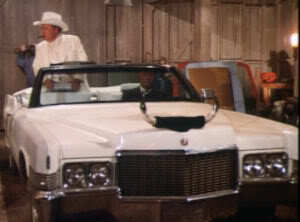 Top Wopat and John Schneider returned to The Dukes of Hazzard while The Dukes cartoon was in production. Bo and Luke replaced Coy and Vance in the last seven episodes of the cartoon. Despite the eventual inclusion of Bo and Luke, “The Dukes” animated series lasted only one season. A DVD was made available by Warner Bros. on demand in late 2010 and can be ordered here. 18. What state was Hazzard supposed to be located in? Georgia. 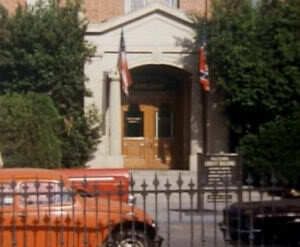 In some episodes the Georgia state flag – as it appeared in the day – is visible on the courthouse. 19. Is there a real Hazzard County? No, but there is a real town called Hazard, in Kentucky. Several cast members made an appearance in a parade there in 1981, drawing thousands of fans. 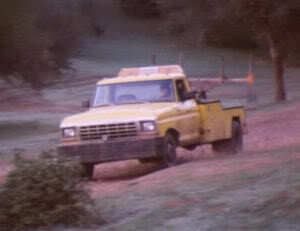 There is no relation between Hazard KY and the production of the Dukes of Hazzard. In fact, the spelling of “Hazzard” in the show, used the double “z” to avoid any connotation with “Hazard” KY.
20. Where was the Dukes filmed? The first five episodes were filmed in and around Covington and Conyers, Georgia, and also parts of Atlanta. After that, production moved to the back lot of Warner Bros studios in California and some facilities in Burbank. Also, most of the country/back roads scenes were filmed at Disney’s Golden Oak Ranch at Placerita Canyon in Santa Clarita, CA. One of HazzardNet’s members, Hoss C., created a very detailed look at the sets and filming locations. This is great information for anyone wanting to know more about the production of The Dukes of Hazzard. His work appears in our Forums and will be preserved as a fan resource. 21. When and Where is DukesFest? How did this thing start? Why does it keep moving? 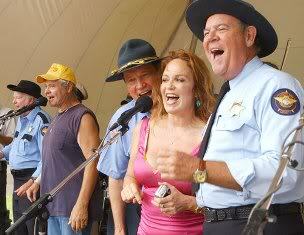 For 2011, the Dukes of Hazzard gathering of fans and cast members is called “Hazzard Homecoming” and is being held in Sperryville, Virginia on August 13&14. This is essentially “DukesFest” in all but name. Attending cast members include John Schneider, Cathy Bach, James Best, Sonny, Shroyer, Rick Hurst, and promoter Ben Jones. The event includes dozens of General Lees on display, concerts featuring bluegrass music, pro wrestling matches, and the usual shindig miscellany. DukesFest may have unofficially began in 1999, when a fan organization hosted a loose gathering of General Lees and a couple hundred fans in Covington, GA. Cast appearances by Sonny Shroyer, Don Pedro Coley (Sheriff Little) and Ben Jones were featured. Jerry Rushing, whose real-life moonshine adventures inspired Gy Waldron to create the Dukes of Hazzard, was also in attendance. It is likely that Ben Jones saw the potential for fan and cast gatherings by attending this event. In 2001, Ben hosted DukesFest in Sperryville, VA, in an open field behind his new Dukes of Hazzard store, “Cooter’s Place.” What began as a relatively modest collection of General Lees, fans, and attending cast members, quickly grew into an attraction of epic proportion. Within a few short years, DukesFest attendance outgrew what the location would feasibly support. Dukesfest moved to Bristol TN in 2005. The Bristol Motor Speedway drew large attendance for DukesFest, with fans waiting up to 8 hours in line for a chance to ride in a General Lee around the racetrack. Shooter Jennings, son of the great Dukes of Hazzard balladeer and country music legend Waylon Jennings, appeared in concert. By 2006 Ben had opened a new Cooter’s Place store and museum in Nashville, and DukesFest followed. Nashville hosted the event in 2006 and 2007. Nashville proved to be an enormously successful location for the event, with 100,000 fans streaming through the gates over the course of a weekend at the Tennessee State Fairgrounds. An automotive stunt show included a General Lee jump of over 200 feet in front of a packed grandstand. After the 2007 DukesFest, Ben transferred the rights to the name “DukesFest” to John Schneider. Ben was facing spine surgery and was unable to commit to future DukesFests at this time, but desired to see the event continue. In 2008, John Schneider moved DukesFest to Atlanta. The recession of the times, and high gas prices, muted the turnout and damped spending by the fans. Atlanta was a new venue for DukesFest, though smaller fan gatherings had taken place for years in the nearby area of Covington. Schneider chose Atlanta for the size of the speedway. He hoped to use a packed grandstand of Dukes fans as extras for movie filming, intending to capture a racing scene for his movie sequel to “Collier & Co.” Attendance and revenue were reportedly disappointing. This was the last use of the DukesFest name. Having recovered from surgery and receiving pleas from fans for another DukesFest, Ben Jones organized the Smokey Mountain FanFest in 2009. This was held at a minor-league baseball stadium and was a very scaled-down event. Merle Haggard was to headline the Saturday night concert, but had to cancel at the last minute due to illness. A portion of the admission prices were refunded. There was no large-scale fan event in 2010, perhaps due to the weak economy. 2011 brings us to Hazzard Homecoming, located once again in Sperryville VA.
22. I have more questions that aren’t in the FAQ. Now what? Visit the rest of our website! There are many sections accessible through the navigation on our Home Page, and there’s wisdom galore from other fans in our Forums. Also check out our Image Gallery! We will update our Home Page with the latest Dukes of Hazzard news and events, and once in awhile we get around to our monthly Newsletter. HazzardNet is continually growing, so stick around!